On Thursday the 11st of March 2004, the history of a country called Spain was irrevocably changed. This novel relates how a proof reader lived through, and later reconstructed, that horrible day. A proof reader is someone who emends other people’s textual mistakes, but on that day the protagonist came across an indelible erratum in the book of reality. Presented as the testimony of a common man, but also as a confession to his loved ones, El corrector pays homage to all those who keep us sane in dark time. It is a moving novel about the different forms of love -friendship, paternity, sexuality- that shelter us from life’s hardships and the lies of political power. Thus, if La ofensa examined the Second World War as the scene of the reading and interpretation of History, and Derrumbe posed questions around our fears of how we foresee and imagine History, El corrector is a direct approach to History experienced in the first person, as perceived by the uncompromising self of the narrator. 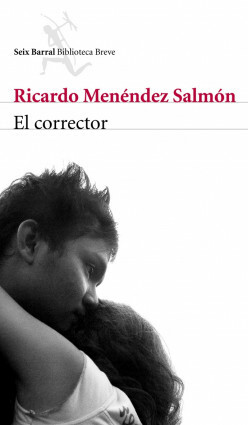 The novel rounds off a trilogy about the evils of modern times with which its author, Ricardo Menéndez Salmón, has become a household name among the best contemporary Spanish writers. Marcos & Marcos (Italy), Jaqueline Chambon (France), Wereldbibliotheek (The Netherlands), Porto Editora (Portugal).